Older Syrian refugees are not receiving the help that they need, according to a new report from the Caritas Lebanon Migrant Center (CLMC). CLMC have shown that a ‘substantial number’ of people fleeing the border to Lebanon are older refugees. Despite this, older people ‘[seemed not to be receiving equal attention and specialised service from those providing assistance’. Chris Roles, Director of Age International, has welcomed the report and stressed the importance of identifying and supporting older people in emergencies. 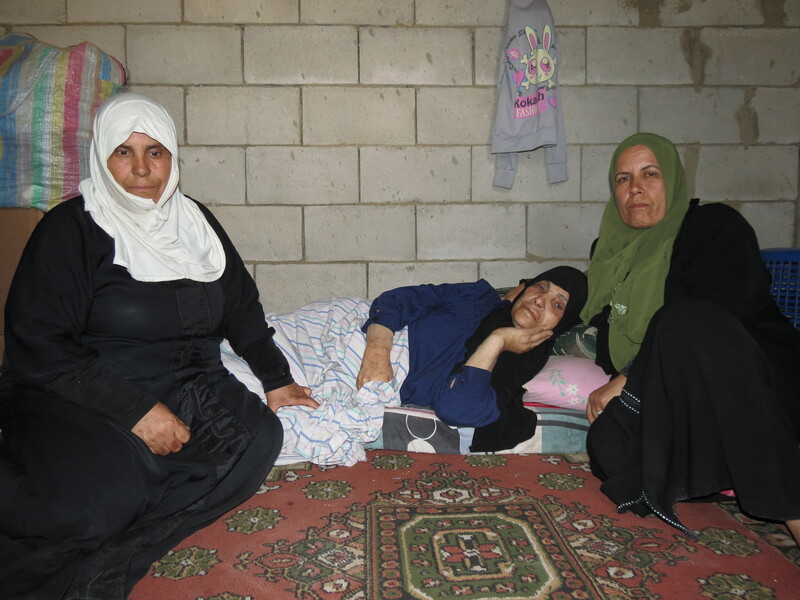 Age International is currently working with partners in Lebanon, to support older Syrian refugees through the crisis. According to the study, 61% of older refugees in Lebanon reported feeling anxious. 10% are physically unable to leave their homes – proving a challenge to the traditional methods of aid agencies. 87% of older refugees in Lebanon are unable to regularly afford the medication that they require and those with medicine brought over from Syria often do not have the means to access medications in Lebanon when their medicine runs out.A staggering 98.5% struggled to see a doctor when they needed one. Kamal Sioufi, the Board Committee President of CLMC, reflected that: ‘older refugees have so many needs, which are not yet a priority to the humanitarian aid actors responding to this crisis’. Many older refugees who were disabled or unable to perform daily activities without help, admitted feeling like a burden on their families. They expressed guilt that they were unable to help with household chores or provide financially for their family. Many admitted to going without food in order to “provide better meals to younger members of the family’. Commenting on the report, Chris Roles, Director of Age International, said: ‘We welcome this comprehensive study from CLMC, which highlights a very worrying trend evidenced, not only in Syria, but also during many other humanitarian emergencies worldwide. During a humanitarian crisis, older people are particularly vulnerable. They often suffer from chronic illnesses, reduced mobility, or disability – all of which can make receiving aid more complicated. More needs to be done to address the needs of older people during emergencies – especially within the humanitarian community. We also agree strongly with the ethos of the report – that by working together, sharing our learning and making sure older people don’t become invisible during emergencies, we can make a huge impact. Having recently returned from Jordan, where Age International is currently working with partners to help older refugees who have fled from Syria – I have been able to see firsthand what happens when we work together.